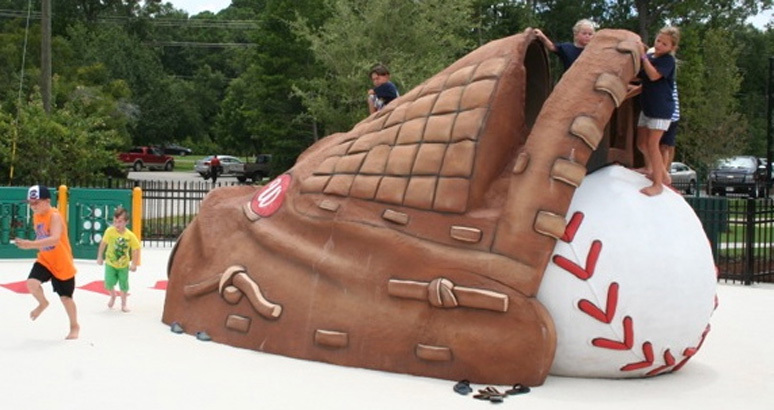 Batter Batter, Sa-wingg Batter! 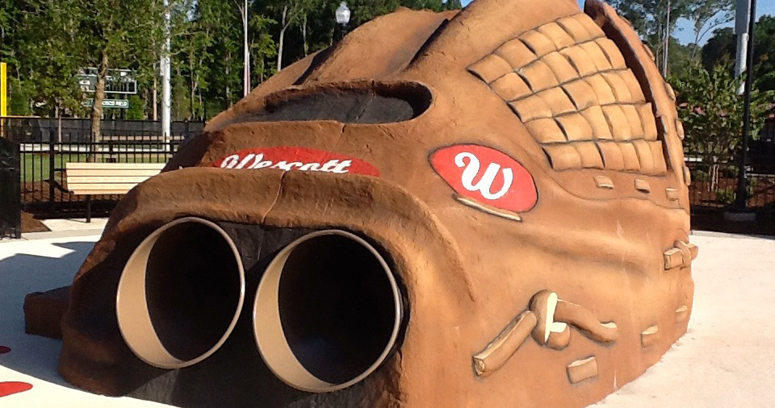 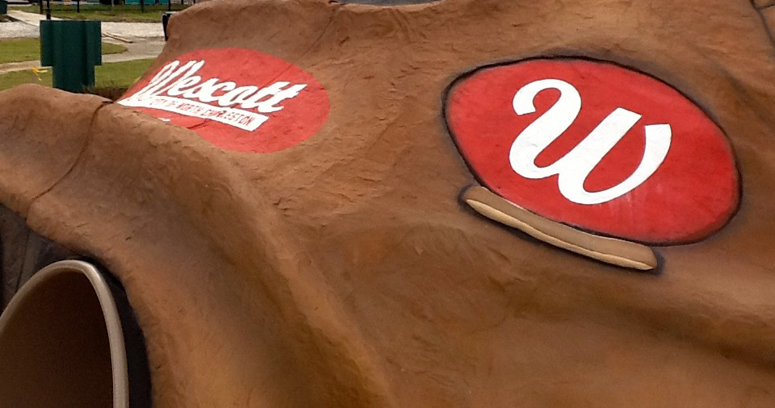 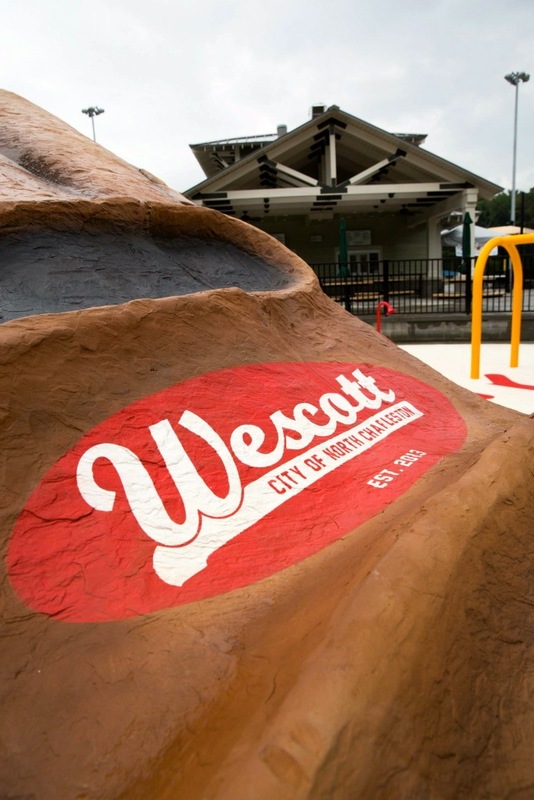 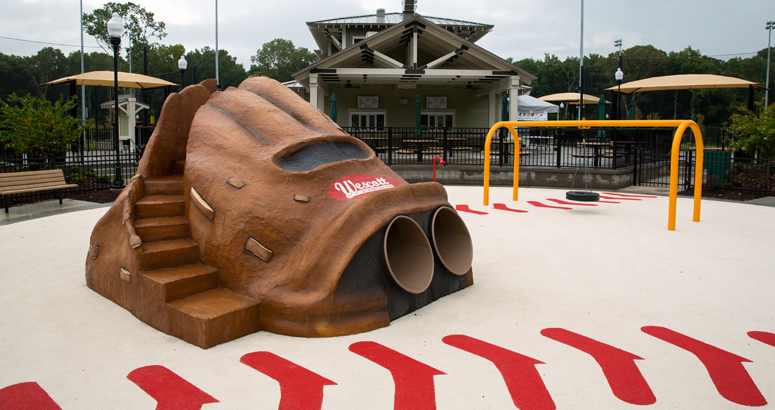 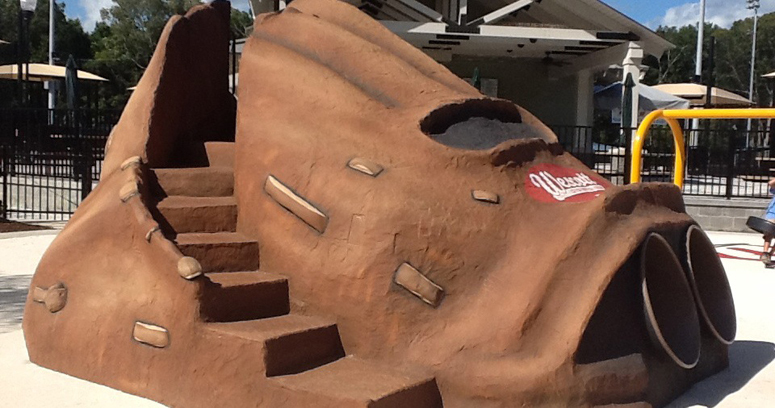 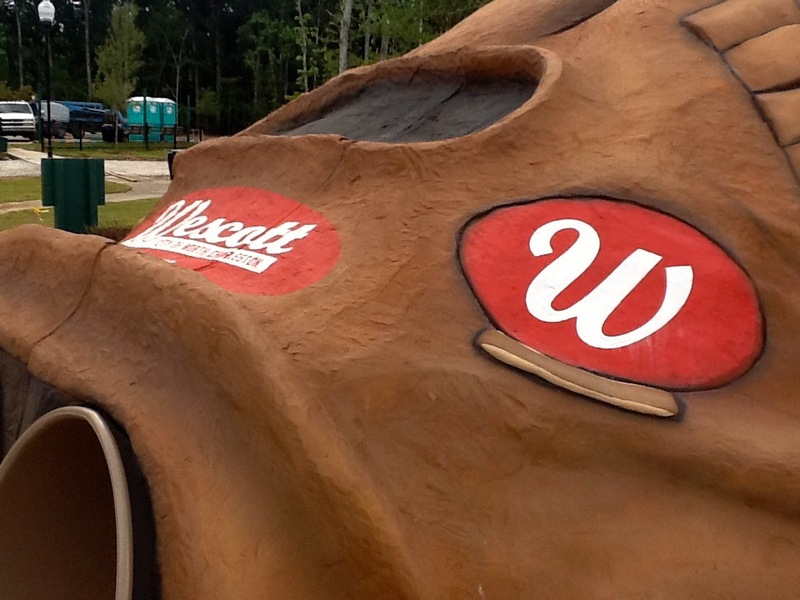 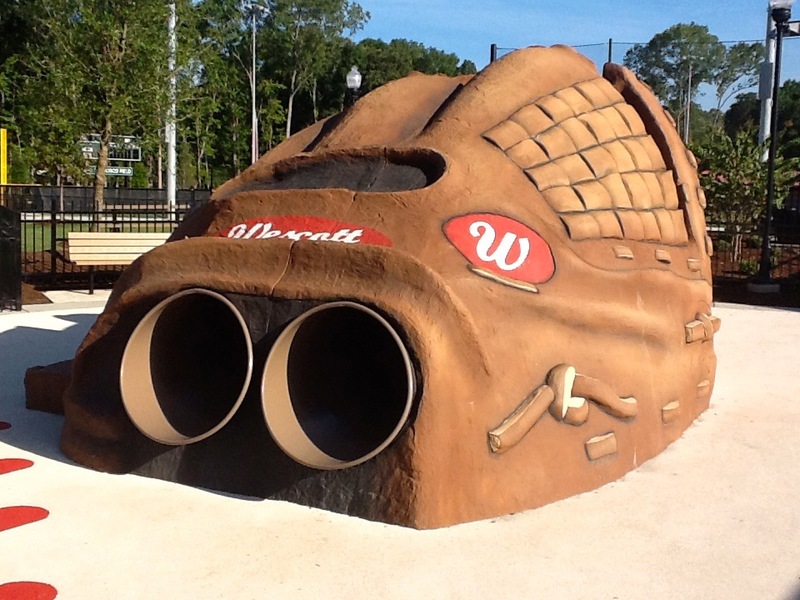 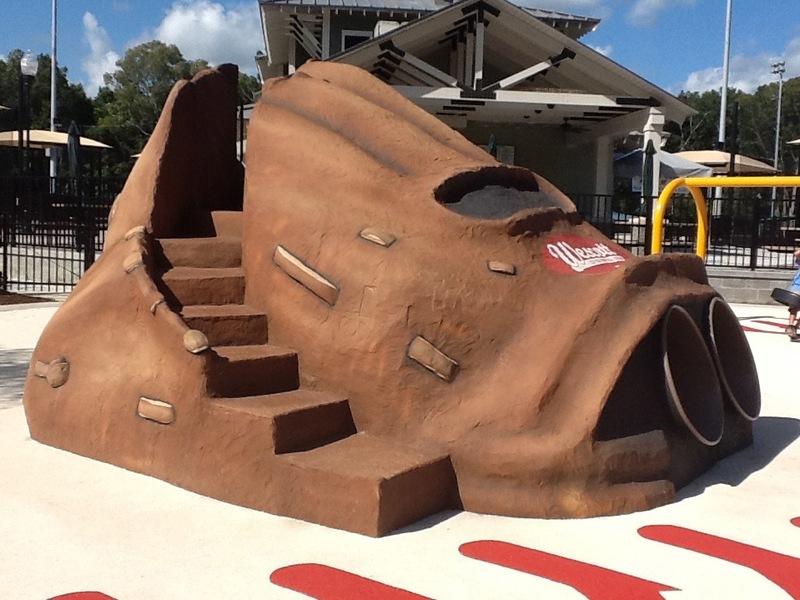 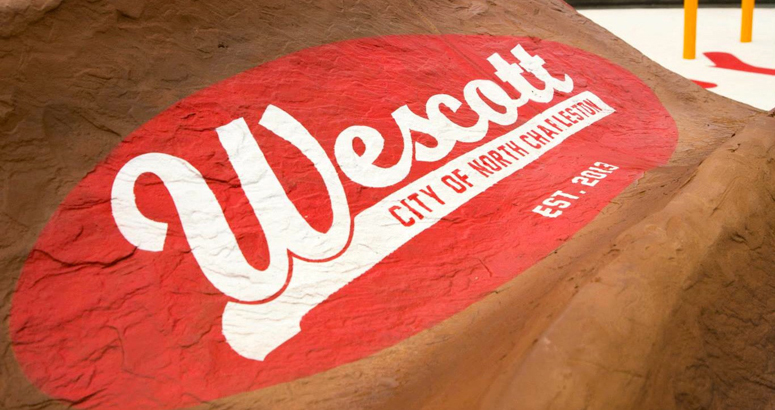 Lil’ sluggers get to slide down the tube slides in the fingers of the this 16’ baseball and glove climber at Wescott Park. 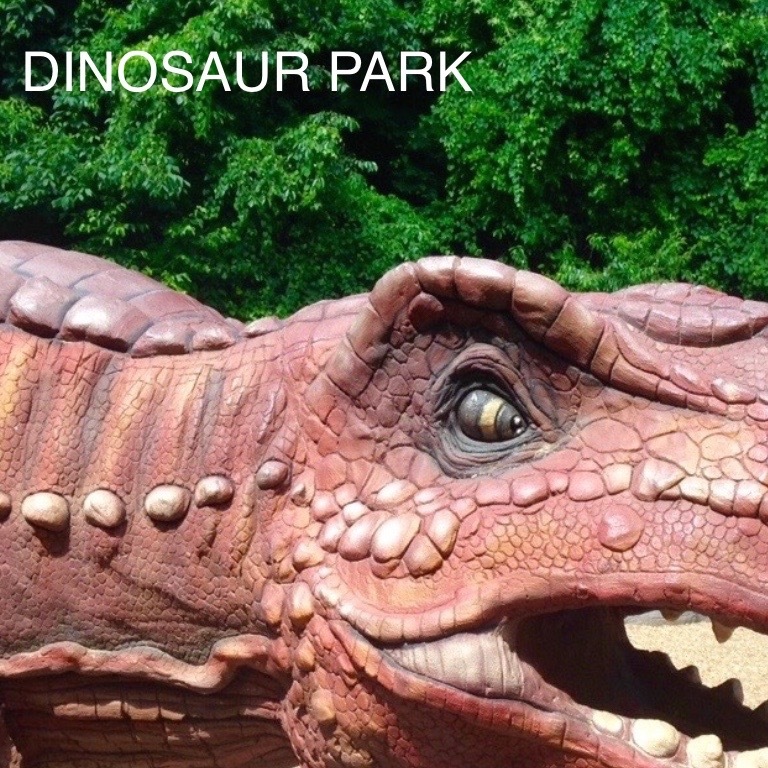 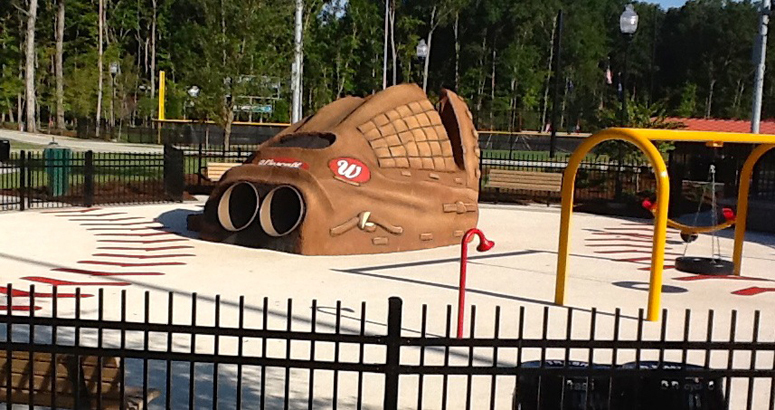 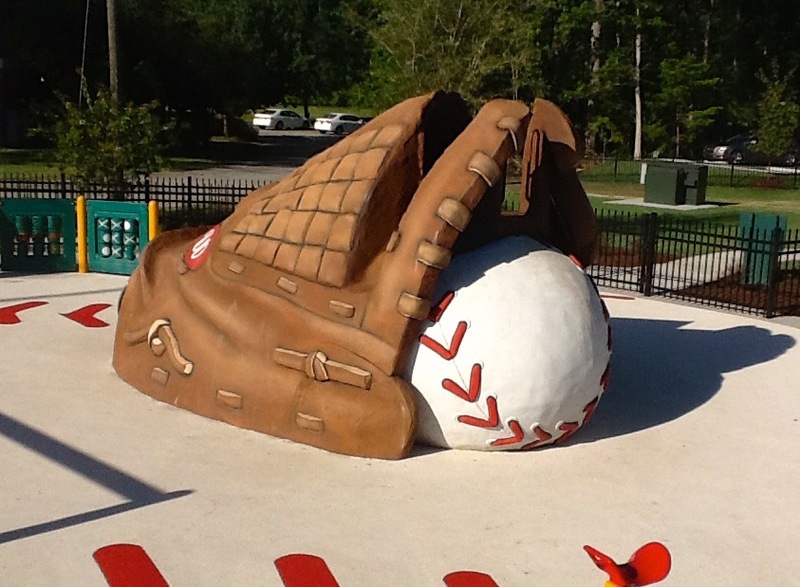 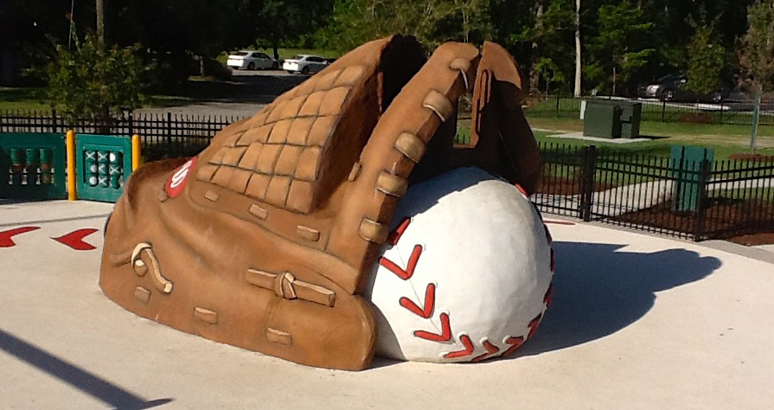 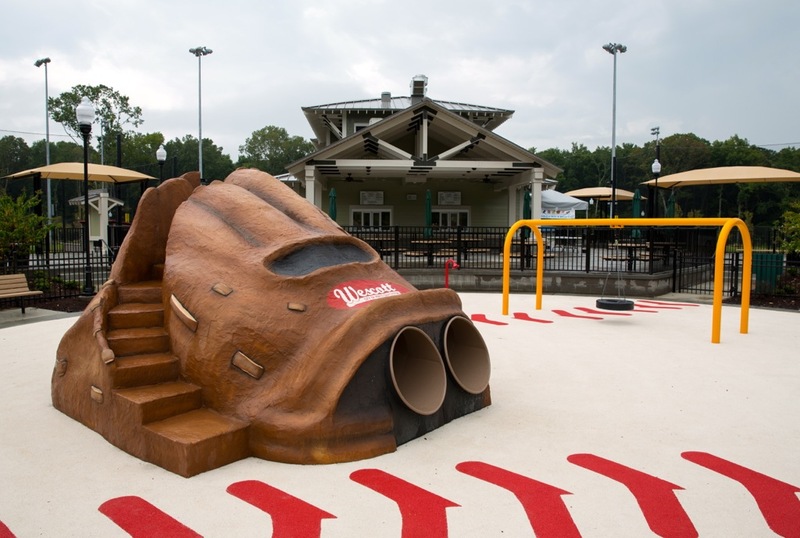 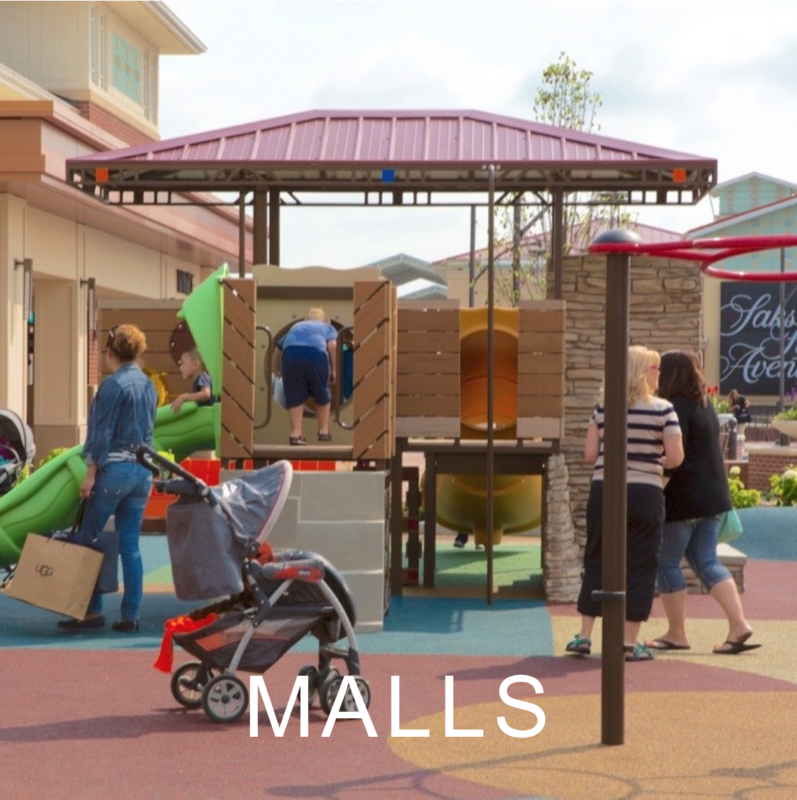 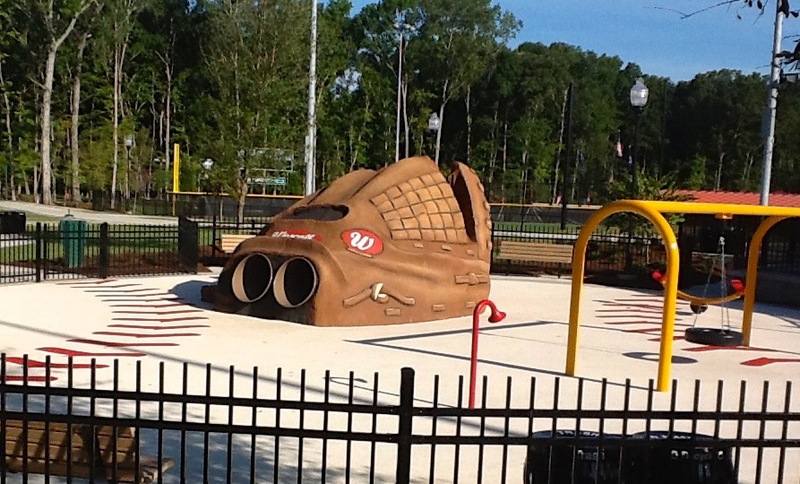 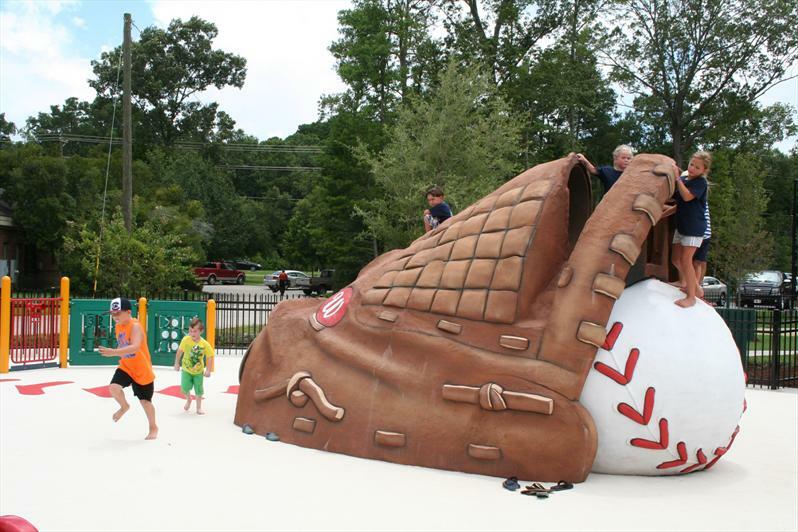 The 48 acre park in North Charleston, SC is home to the new Cal Ripken training facility and three scaled down replicas of major league fields designed by Ripken himself.